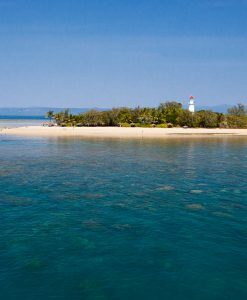 Located on the Great Barrier Reef is Low Isles. 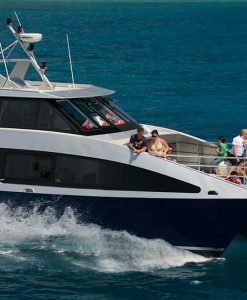 Low Isles is a great starting point for first time snorkelers. 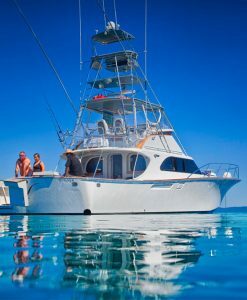 Plus there are usually options for non swimmers such as glass bottom boat tours. 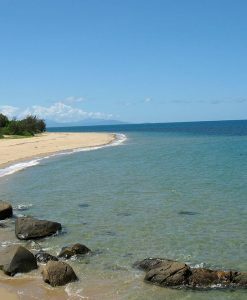 A very family friendly Great Barrier Reef island that has been well protected and loved by many of the Port Douglas locals. 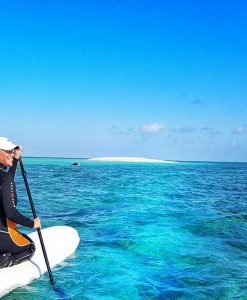 The lagoon at Low Isles is home to over 150 species of corals and abundant fish species and is a significant green turtle habitat too. The snorkelling in the Lagoon is amazing. Loads of fish, loads of coral and marine life right off the beach.The turtles at Low Isles are very used to seeing people and allow you to get very close to them in the water. It doesn’t take long to explore the island .Low Isles is a small island, in fact you can walk around the whole thing in about 15 minutes. On the island there are thatched umbrellas which offer you shade to relax under. 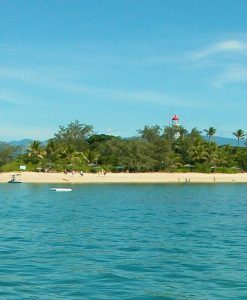 There is also an uninhabited light house on Low Isles which is heritage listed and the original 1878 lens is on display in the Court House Museum of Port Douglas. Low Isles is a nature lovers paradise with resident Ospreys and a colony of Imperial pigeons. It has been protected for so long, that there are loads of colorful tropical fish to see in the lagoon. Low Isles is also famous for its giant clams. 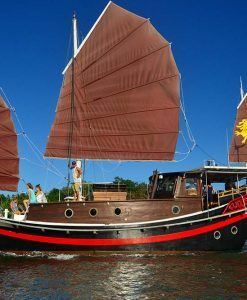 Low Isles is situated on a large 200 hectare coral platform and consists of a small coral cay, a mangrove island, seagrass beds where dugong can occasionally be seen as well as fringing coral reefs. No fishing is allowed in the lagoon or within a buffer zone around the islands – the main activity is snorkelling. The corals at Low Isles are very shallow and close to the surface. 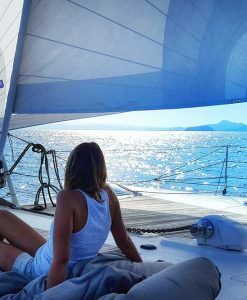 Perfect for snorkelling!